Personal injuries have a lasting effect on your life and livelihood. Medical bills, lost wages and other incurred expenses can build up quickly, leaving you and your family in a dire situation. You should not have to pay for the recklessness of someone else. With more than 30 years of experience as a personal injury attorney, Reid Wissner has handled thousands of cases and helped his clients obtain tens of millions of dollars in verdicts and settlements over the years. If you are looking for an experienced personal injury attorney in Brooklyn, Queens or the Bronx, Reid B. Wissner Law Offices can give you the home field advantage. To discuss your case for free, please contact us today online or at 212-406-9288. There are plenty of law firms in the New York City area that take personal injury cases, but many firms assign most or all case-related duties to paralegals or other members of the staff. It is rare to find an experienced lawyer who gives you personal attention from the moment you contact the firm. At our firm, Reid Wissner personally handles every aspect of your case, from the initial consultation through the completion of your settlement. Our clients are the reason we are passionate about personal injury work. We work to ensure that every case, including yours, is given the individualized attention it deserves. Too often, large law firms take a one-size-fits-all approach to legal counsel. We know that the keys to success lie in understanding the unique details of your case and designing a customized legal strategy that is specific to your situation. Client-focused counsel: Your case is always our priority. Reid Wissner takes the time to get to know you personally and the unique circumstances of your situation. He will never take a cookie-cutter approach to your case. Integrity: Large firms just look for the big cases. If it’s too small, they either won’t accept it or simply pass it off to less experienced associates. Reid Wissner is passionate about protecting the rights of injury victims and accepts cases with all kinds of injuries. Whether you’ve suffered permanent injuries or a broken bone, your case will be given the undivided attention it deserves. Experience: For more than 30 years, Reid Wissner has focused exclusively on personal injury cases. He deals with personal injury law and big insurance companies all day every day. This focus gives you an advantage when fighting for the maximum compensation you deserve. Communication: It can be frustrating to be left in the dark in matters of your own case. Since you always work directly with Mr. Wissner, he will always keep you abreast of where your case is and what to expect next. You won’t need to wait days or weeks for updates or communicate through other staff members. Our multi-lingual office can also help ensure that language issues don’t stand in the way of your ability to get the representation you deserve, as we speak Spanish and Portuguese. Home Field Advantage: New York isn’t just Reid Wissner’s practice area, it’s his home. He grew up in the Bronx and has been practicing personal injury law out of the same New York office for more than three decades. He has spent a career building strong relationships throughout the community. He is intimate with the critical details of every borough and knows how to build your best case from Queens to Brooklyn. Tenacity: Reid Wissner understands how insurance companies work and he won’t be intimidated or back down from a fight. He will aggressively pursue the full and fair compensation you need to get back on track. Compassion: Your personal injury case is about more than just a check; it’s about ensuring the current and future wellbeing of you and your family. 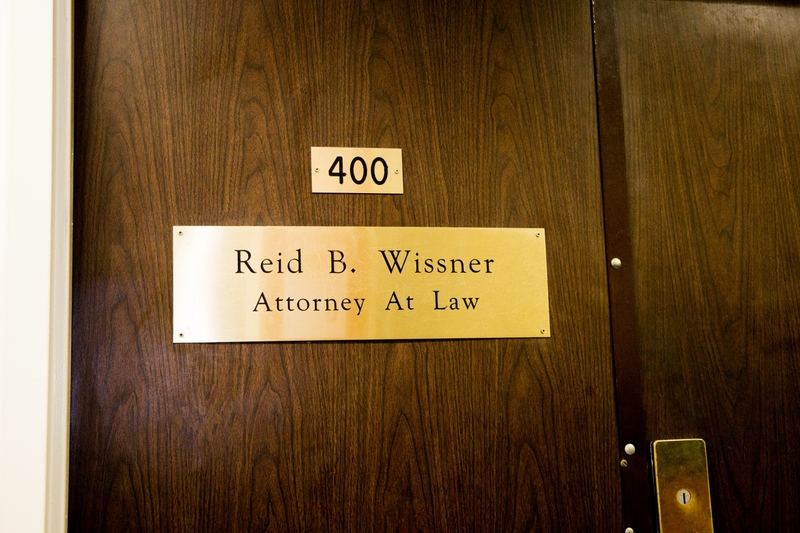 Reid Wissner is committed to helping accident victims obtain the justice they deserve. He focuses on every aspect of your case so you can focus on healing. When you are injured in an accident, an experienced lawyer is your most important asset to help you recover the justice and compensation to which you are entitled. With decades of successful experience, Reid Wissner understands the issues involved in personal injury law and knows what is needed to get the maximum result for your case. Whatever your injury, Reid Wissner wants to hear your story. It costs you nothing to find out if you have a case or not: your initial consultation is completely free, and we take all cases on a contingency basis. This means that unless we obtain compensation for your claim, you owe us nothing. To learn how our experienced personal injury lawyer can help you pursue the maximum compensation for your claim, please call 212-406-9288 today to schedule a free consultation. Reid B. Wissner Law Offices proudly helps clients from Brooklyn, Queens and the Bronx.